It’s February, which is traditionally viewed as the first month of Spring in Ireland. Well, they could have fooled me! It’s bloody freezing and we’re getting battered left, right and centre by innocuous sounding weather fronts like Henry and Imogen (two monikers that have been stricken off the completely hypothetical future kids name list!). I’m looking to Netflix to escape the dreary, drab weather and once again, with its list of exotic themed shows, it doesn’t disappoint. Narcos is a crime drama set in the underbelly of the volotile Colombian drugs scene of the 19080’s. It details the many, often-conflicting forces – legal, political, police, military and civilian – that clash in the effort to control cocaine, one of the world’s most valuable commodities. Great set pieces, fantastic actors and a lightening quick script make for compelling viewing. 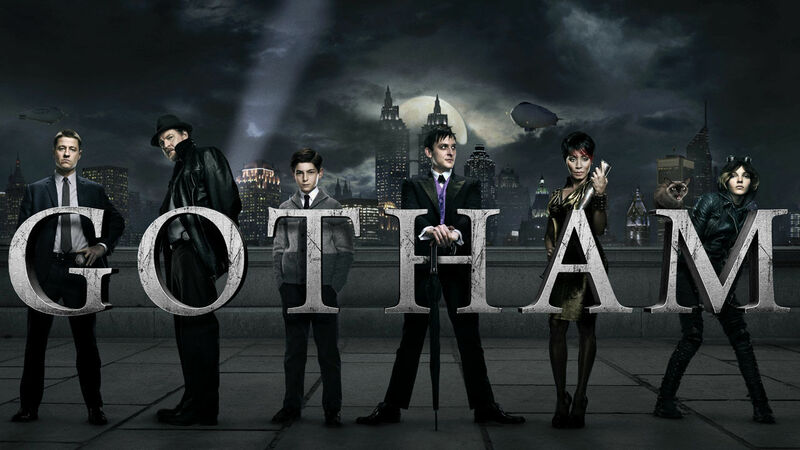 A Netflix original series, Gotham revisits the infamous city before Batman began. Rookie cop Jim Gordan is intent on saving his beloved city from the hoards of criminals intent on destroying it. What’s interesting about Gotham is you get to see the origins of many of its famous and infamous sons and daughters including Catwoman, Poison Ivy, The Penguin, The Riddler and of course, the Batman himself. Jada Pinkett Smith puts in a great turn as the evil mistress of crime, Fish Moody and gets his growls on as the cop with a chip on his shoulder but a heart of gold. Jessica Jones has been pitched as the female alternative to Daredevil. A mutant P.I. harbouring a big secret, with a past she’s desperate to escape, tries to recover from a murky past. Leads Kristen Ritter and David Tennant excel in this dark, violent show that has just been recommissioned for a second series. New to Netflix, is the penultimate season of this much loved courtroom drama. The twists and turns continue to come thick and fast as Alicia and co battle to keep a friend from serving time for a crime he didn’t commit. This one comes with a binge viewing alert warning!! Disclaimer: I am a member of the Netflix Streamteam. I receive certain goodies in exchange for regular reviews but all opinions remain my own honest ones.